Dr. Ishrat Hussain played a pivotal role in the initial development of Pakistan Atomic Energy Commission (PAEC) and was a major contributor in the establishment of PINSTECH, thus forming the foundation of civilian nuclear program in Pakistan. Head of “Atom for Peace” conferences by International Atomic Energy Agency (IAEA), he was a strong advocate of use of nuclear technology for peaceful purposes. Dr. Ishrat played an important role in establishment of Regional Centers of alternative energy in Senegal and Sri Lanka, Nuclear Institute for Agriculture and Biology (NIAB) in Faisalabad, and Nuclear Institute for Food and Agriculture (NIFA) in Islamabad. KANUPP (Karachi Nuclear Power Project) was the result of his years of hard work. Dr. Ishrat was born on 15th April in Aligarh, India. He completed his B.Sc. (Hons.) in Physics from Aligarh Muslim University and Masters from University of Bombay. He wrote his thesis in 1939 entitled “A study of the growth of compound crystals by electron diffraction” which was supervised by renowned scientist Niels Bohr and, hence, completed his doctorate from Imperial College of Science & Technology. He passed Indian Civil Services (ICS) examination with distinction in 1942. Dr. Ishrat was the chairman of PAEC from 1960 to 1972. 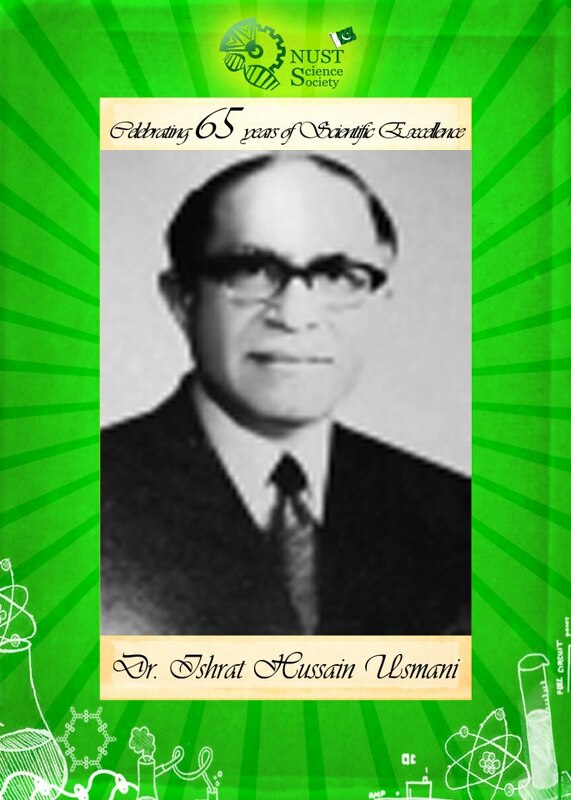 He served as Co-Chairman of Pakistan Space and Upper Atmosphere Research Commission (SUPARCO) and Chairman of Board of Governors of IAEA from 1962 to 1963. He also rendered his services for United Nations as Senior Energy Advisor from 1974 to 1978. Also, he was the Secretary General of International Foundation for the New and Emerging Sciences and Technologies (NEST). He was awarded Nishan-i-Imtiaz (Pakistan’s highest civilian award) in 1998. He retired at the age of 74 and passed away after a year at the age of 75 on 17th of June.